Jazz Café is still relatively unknown, despite residing at Music Hall and arguably hosting the best jazz season of all performing arts centers in the Midwest. 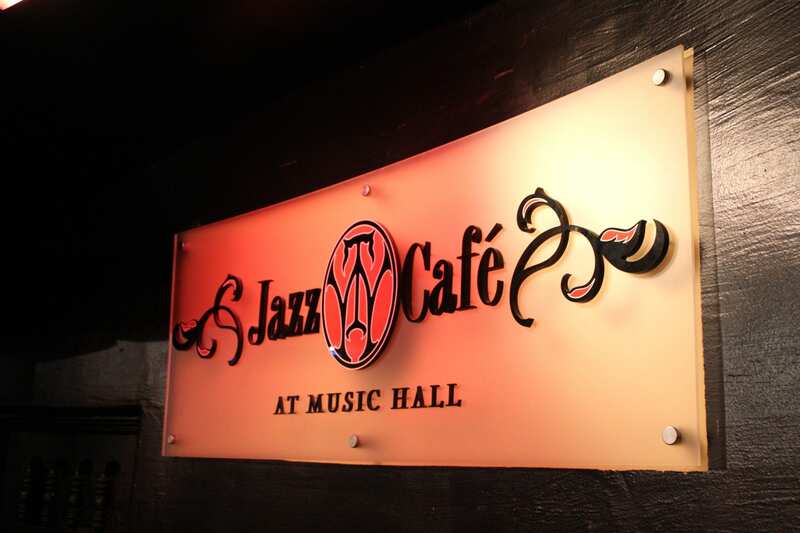 Jazz Café has seen performances from a number of great musicians, as well as poets and artists, from around the country. Some notable names include Jeff “Tain” Watts, Elaine Stritch, and John Sinclair. Artists hailing from Detroit itself have also made appearances, such as Ralphe Armstrong, Luis Resto, and Kimmie Horne. The venue is 20 feet by 64 feet with a 12 by 16 foot stage and has a capacity for up to 86 attendees. It features an Essex by Steinway 6-foot grand piano, custom-made jazz drum kit, full professional sound system, and 16-channel mixing board with two monitor mixes. 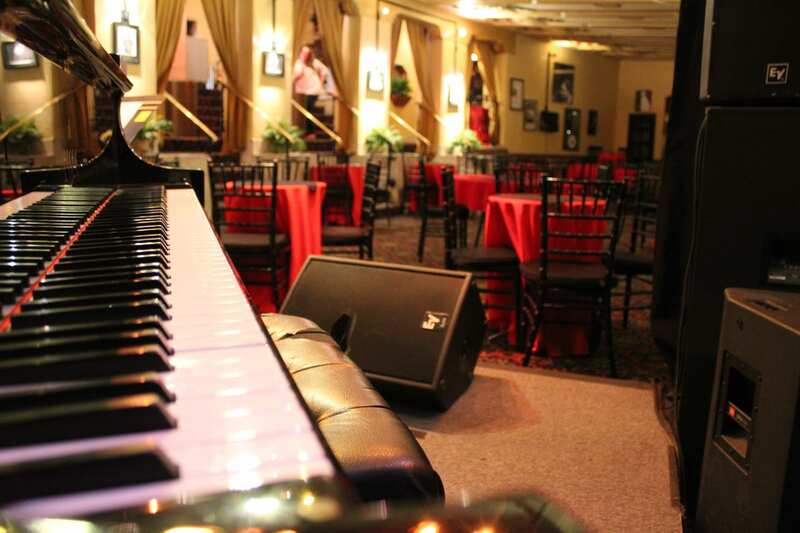 Available for private events, Jazz Café is ideal for performances, networking events, wedding receptions, and album release parties. There are also shows every day of the week, including a monthly comedy night on Wednesdays and weekly jam session on Sundays. The Sunday jam session is a particularly important event, as it helps Jazz Café fulfill one of the missions of Music Hall — to educate youth on the rewards of performing arts — while enabling new jazz musicians to develop their talents. Jazz Café provides a space for young musicians to share ideas, compete, and challenge themselves by playing in a variety of keys and tempos and with people of all abilities, including many whom they have never met before. Such an experience is only possible in a club with an audience, as it is impossible for musicians to learn the same skills in a formal, educational environment. All high school students from the Vocal Jazz Academy and students of jazz studies at Wayne State are invited to attend these free events. Detroit’s premiere rooftop nightclub for VIP service and special events. Located on the rooftop of Detroit’s historic Music Hall, 3Fifty Terrace features 10,000 square feet of unique rooftop and open air space for a night out or to host a special event. The space includes a full array of amenities to host any type of event from birthday parties to corporate or nonprofit events. The 3Fifty Terrace is open to the public from Thursday to Sunday. Situated on 350 Madison Ave. in Detroit, Music Hall is in the heart of the best-selling entertainment district, together with two stadiums and six other theaters. Open to everyone, it is often called “the people’s theater.” Its motto: Practice Your Cool. Perfect Your Cool reflects the theater’s mission: to provide the community of Detroit with innovation and quality through performing arts and education. Music Hall is only able to continue providing programming that appeals to the diverse cultures of Southeast Michigan thanks to support from donors, corporate sponsors, and foundations like the Matilda R. Wilson Fund and Masco Foundation. Editor’s note: This content was originally published on Jazz Cafe’s homepage, used with permission. This blog post is part of a series highlighting music venues across Michigan and the communities that enjoy them.